Until a couple of months ago, I never heard of the Portuguese cities, Estoril and Cascais, but wouldn't you agree that these names sound like music to your ears? 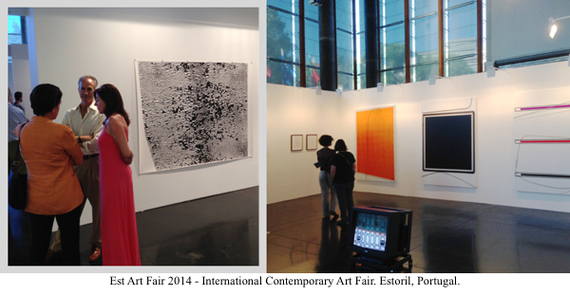 Then, out of the blue, comes an invitation to visit a new International Contemporary Art Fair in Estoril --a well-known resort city just a half hour drive from Lisbon. Never been in Portugal before, how could I resist? There are plenty of art fairs around the globe --most of them are big, noisy, and overwhelmingly commercial enterprises. Blissfully, this new Est Art Fair had a more intimate and friendly ambiance, with fewer than 50 gallery dealers, mostly from Spain and Portugal. The only American dealer there happened to be Christopher Grimes, the well-known Los Angeles gallerist who for years has been representing high-profile Portuguese artists Julião Sarmento and Carlos Bunga. Est Art Fair is definitely not for the mega-collectors hunting for Jeff Koons or Takashi Murakami. It is more for those who want to discover interesting up-and-coming artists, whose prices are still relatively reasonable. 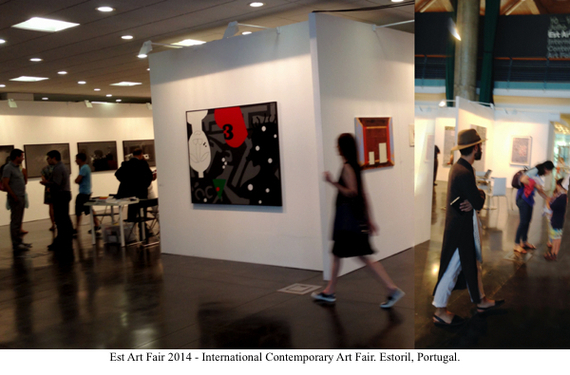 The organizers of Est Art Fair were kind enough to invite me to join a group of collectors on a daily tour to Lisbon and the nearby city, Cascais --the Portuguese version of France's Cannes. 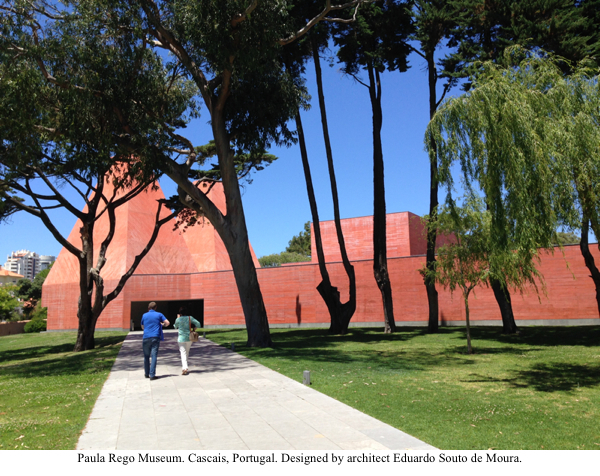 There, in Cascais, I was blown away by the minimalistic, severe, and at the same time, luxurious architecture of the Paula Rego Museum, built by Eduardo Souto de Moura, 2011 winner of the Pritzker Prize --the highest architectural honor in the world. 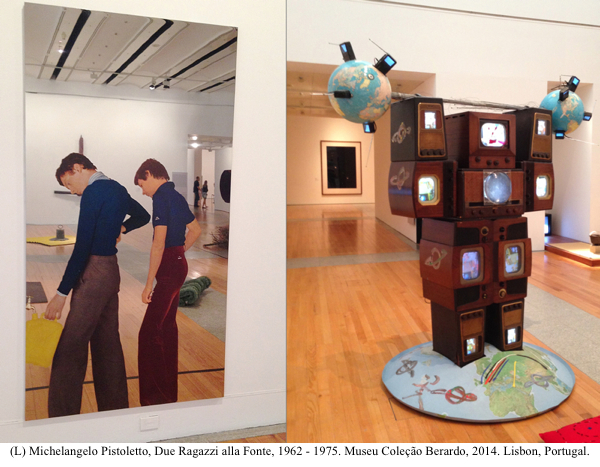 And boy, don't get me started on what I saw, discovered, and stumbled upon in Lisbon. It's no secret that the Portuguese economy is currently rather strained, but the endless visual delights of this Old European capital --its rooftop views, winding streets, brightly colored tiles covering entire building facades --all that and more, explain why the city is so crowded with tourists. Yes, compared to the rest of Europe, a trip to Portugal is easier on your wallet. And yes again, whatever you've heard about its great seafood is absolutely right. When I have a chance to travel to Europe, I particularly enjoy the juxtapositions between modern and traditional art and architecture. For example, going to the Venice Biennale, I spent half of the day browsing through the pavilions exhibiting contemporary art, and then the rest of the day wandering through streets and canals of this ancient city. 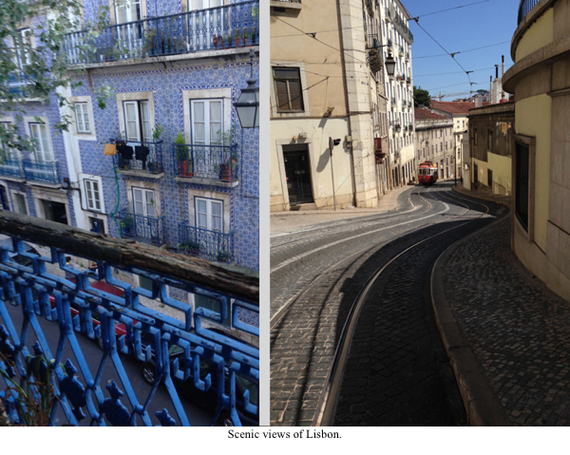 I did the same in Lisbon. After visiting some old monasteries and churches, I was particularly startled by the sprawling, austere architecture of the private museum, Museu Coleção Berardo, which shows the world class collection of José Berardo, a major Portuguese contemporary art collector. 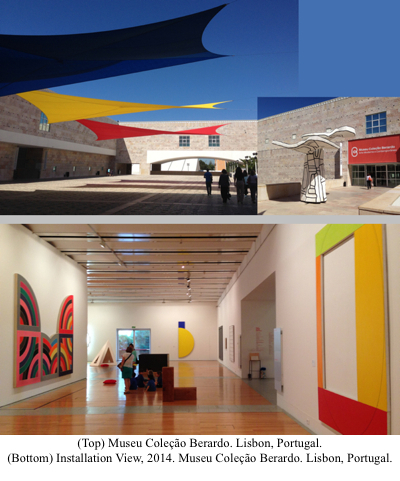 Any major museum --be it in New York, Paris, or London --would be proud to add to their collection prime works by Frank Stella, Ellsworth Kelly, Michelangelo Pistoletto, or Nam June Paik, whose paintings and sculptures are elegantly displayed throughout the numerous galleries of the Berardo Museum. There were other delicious discoveries and guilty pleasures that make me claim that I left at least a part of my heart in Lisbon. Actually, to be completely honest, I almost lost my heart while climbing up and down its incredibly steep streets. But it turned out to be good for my waistline. So, my friends, there are many, many good reasons to travel to Portugal... Stay tuned for more on my adventures over there. P.S. If you want to learn about Edward's Fine Art of Art Collecting Classes, please visit his website here. You can also read The New York Times article about his classes here.